Every cloud has a silver lining. The tight energy situation that began at the end of 2014 helped leapfrog our energy initiatives and highlighted the importance of engaging South Africans directly in times of challenge. 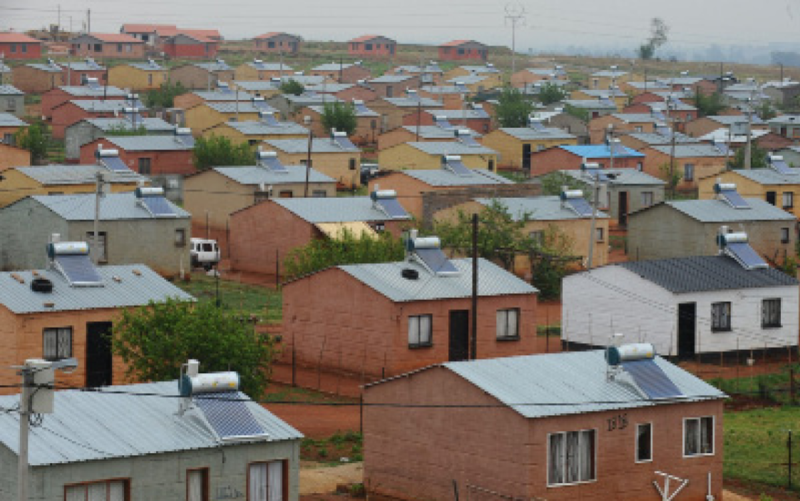 South Africans through their energy saving practices became part of the national energy solution while government through the War Room on Energy fast tracked a number of energy initiatives. 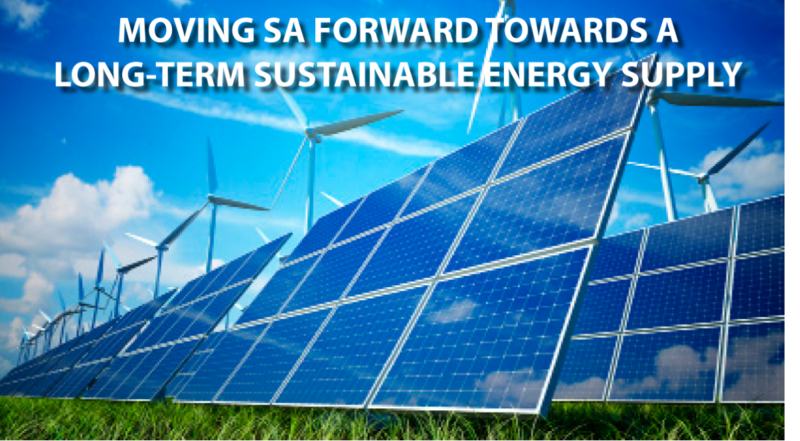 Today South Africa is a step closer to easing its energy crunch as key interventions have been successfully introduced to support the national grid since the height of the energy challenges. While we are not out of the woods as yet, we have recorded important milestones on our journey towards a more secure power system and to alleviate the country’s energy challenges. The great strides made so far show that there is no need for pessimism. There is a plan to move the energy sector forward and government is firmly in control of the situation. South Africa’s energy mix is detailed in the Integrated Resource Plan 2010 – 2030. It provides 6, 3 Gigawatts from coal power, 9, 6 Gigawatts of nuclear power and 11, 0 Gigawatts from other generation sources. Moreover, in future biomass, wind power, solar power and hydro-power will contribute 11.4 Gigawatts of energy to the national grid. As new power supply continuously comes on stream and we adhere to energy saving measures we can and will overcome our energy challenges. In 1994 the new democratic government resolved to provide basic services to millions of South Africans who had been excluded under apartheid. It began a drive that would in a short space of time see millions of new households connected to the grid. 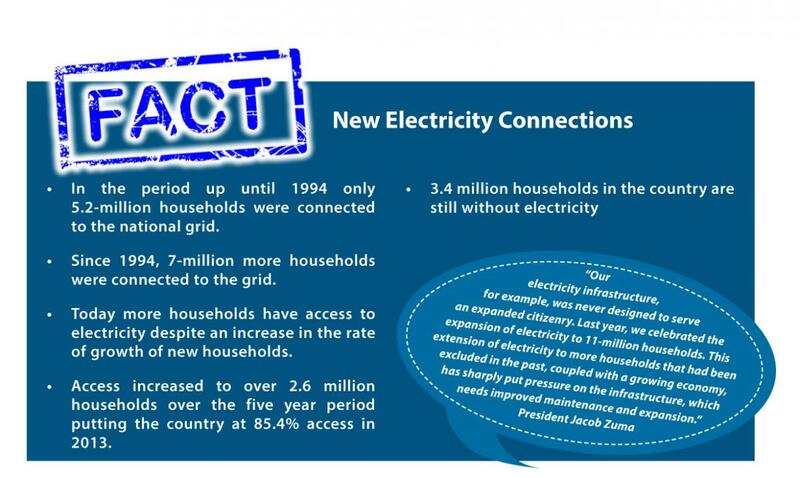 In 2009 the World Energy Council commended the country for its national electrification programme which saw 1.5-million connections in five years. According to the council this was the equivalent of an electricity connection made every 30 seconds, a pole placed in the correct position every 10 seconds and two hundred metres of cable attached every minute. In order to roll out basic services to millions of disadvantaged South Africans, government had to reprioritise its spending. This meant that funds had to be diverted from areas such as investment in the country’s energy sector. However, at the time the country’s energy sector generated a surplus supply at a competitive cost and was therefore not regarded as a priority. Since the early 2000s’ South Africa experienced significant economic growth and electricity demand grew in tandem without a concomitant increase in the electricity generation capacity. Over the years, the expansion of the economy and the connection of millions of previously marginalised South Africans to the national grid, meant that demand had quickly began to outstrip supply. South Africa’s investment in new generation capacity continued to lag behind growth in demand. Moreover, the lack of investment by private energy producers due to low electricity pricing further curtailed the country’s generation capacity. The situation was compounded by poor planning and delays in the construction of Eskom’s new power stations – Medupi, Kusile and Ingula. The lack of critical maintenance had also been a major contributor to the country’s electricity challenge. It resulted in the system experiencing more power station breakages and unplanned outages which resulted in increased load shedding. Through short, medium and long-term measures the War Room on Energy - established by Cabinet in December 2014 - moved the country steadily towards a more secure energy path. It has been instrumental in coordinating actions, expediting decisions and resolving blockages. 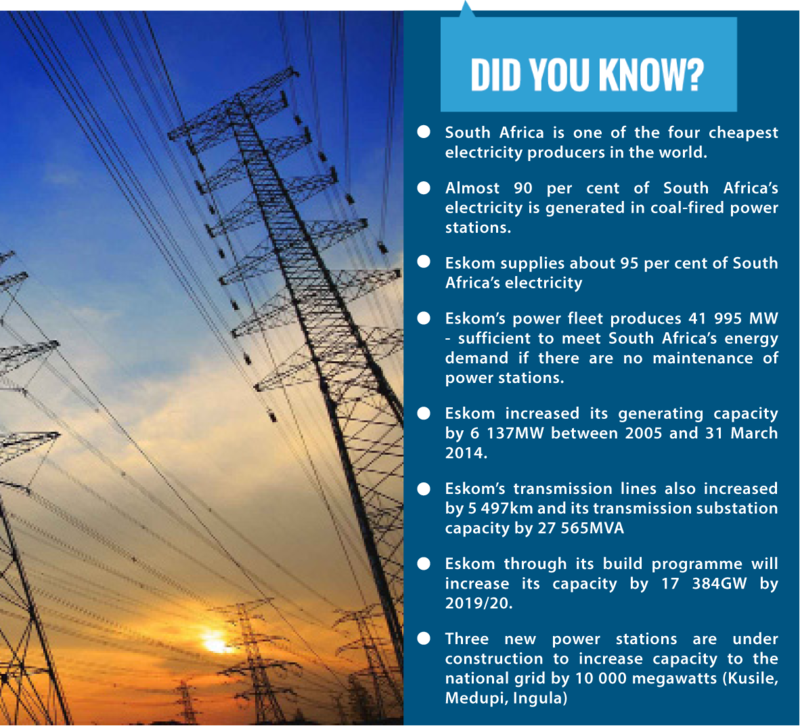 The War Room’s immediate interventions were to stabilise the national grid and this was achieved through the improved maintenance and operation of Eskom’s power stations. It included the strict adherence to maintenance schedules so that generation infrastructure was reliable. The positive energy interventions along with targeted communication initiatives had begun to slowly change the narrative by moving the energy story from a negative to a more positive one. An analysis of the communication environment demonstrated that positive engagements on energy had a corresponding impact on the communication environment. 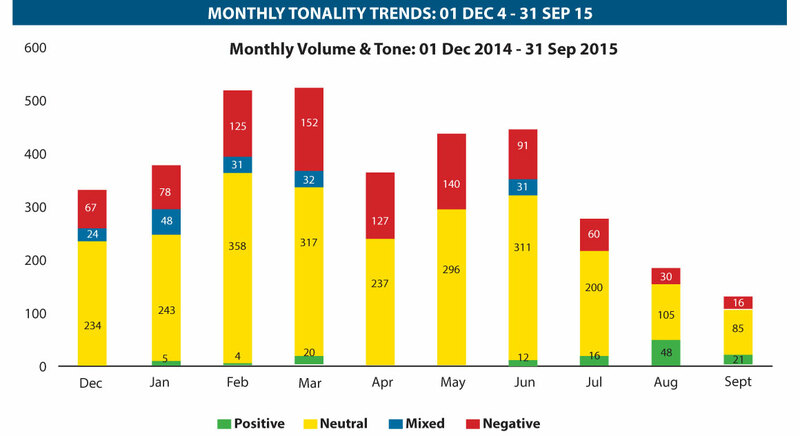 The trend is reflected in an analysis of the media environment by GCIS of 3 445 articles published between 1 December 2014 and 30 September 2015. Of these articles, 1 905 were in print media whereas 1 540 were sourced from broadcast, online and news agencies. The graph above shows a gradual improvement in the prominence of government’s voice in the media. When members of the War Room on Energy and government commented on the energy situation, it had contributed significantly to the discourse. While most coverage was neutral - media reported factually on events and statements from Eskom and government. Negative coverage remained high on governance, electricity tariff hikes, and protest over pre-paid meters and load shedding issues. The analysis showed that the update by President Jacob Zuma on progress from his 2015 State of the Nation Address indicating “substantial progress” in addressing the country’s energy challenge was positively received. 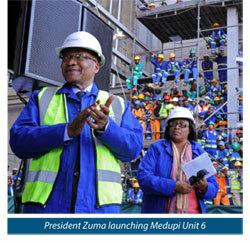 Moreover, the official launch of Unit 6 of the Medupi Power Station by the President continued to generate positive coverage with the media and various stakeholders describing it as a major milestone. The President’s optimistic statement that there is “light at the end of a tunnel” received widespread coverage and editorial endorsement. The Media Roundtable Discussion on Energy hosted by GCIS and the Department of Public Enterprises at the beginning of September 2015, attended by more than 20 journalists from the Parliamentary Press Corps had, also turned the narrative on the country’s energy situation. Reportage showed a greater understanding and appreciation of the situation and how government together with the War Room on Energy and Eskom are dealing with the most pressing energy issues. The above graph shows a greater number of articles were rated neutral as the media reported factually on events, statements and briefings from various stakeholders, mostly from Eskom and government. 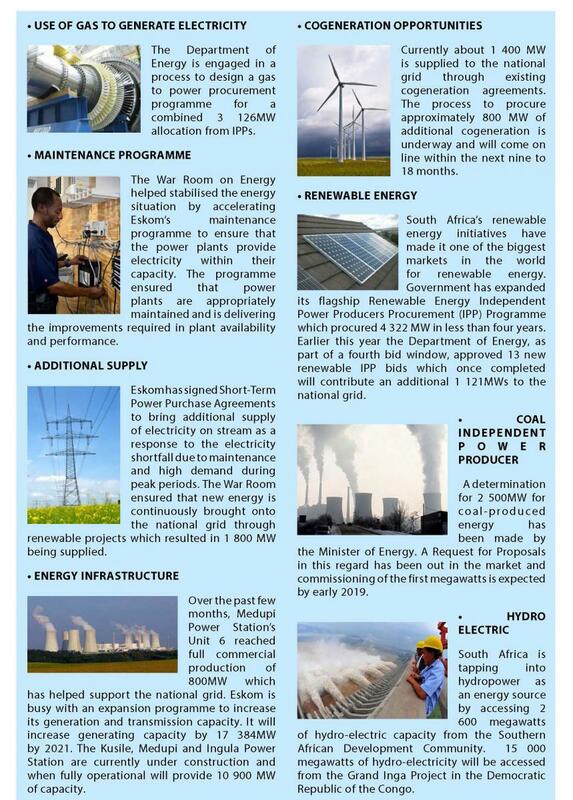 Positive coverage in August and the first 10 days of September is attributed to the stability at Eskom in terms of governance/leadership as well as meticulous planning of maintenance schedules with no load shedding implemented for over a month. The synchronisation of Medupi Unit 6 in March, and its official launch and hand over in August received the most positive coverage. It was described as a major milestone in efforts to address the country’s energy situation. Government believes that knowing when power outages will take place and in which areas, help lessen the impact of electricity disruptions on families and businesses. The War Room on Energy fostered an engagement between Eskom and municipalities so that they could work together on managing the impact of load shedding to communities. An analysis of these various municipal websites by the Energy Communications Task Team (CommsTeam) revealed the following challenges in providing information to residents online. The quantity and quality of the information significantly varied. While most sites had fair to good visibility with links to the schedules they did not guide consumers to dedicated sites such as the Eskom “Power Alert” site; the News24 “Grid Watch” site and the “City Power” and “CENTLEC” municipal utilities sites. The load-shedding pages all made the assumption that the consumer would know their residential area and extension. 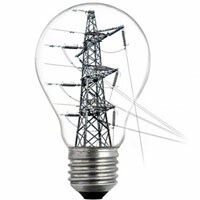 It was also assumed that consumers had an understanding of the different load shedding stages. Guides on how to use the schedules were not always provided. Where it was provided, the information was often placed on a separate webpage and not on the page containing the schedules. The sites were not mobile-friendly and some required the downloading of large pdf files. Working with Eskom and municipalities the War Room ensured a more predictable load shedding schedule. In collaboration with the Naspers, Primedia and eNews Channel Africa the latest information on load shedding schedules for a specific area were made available. 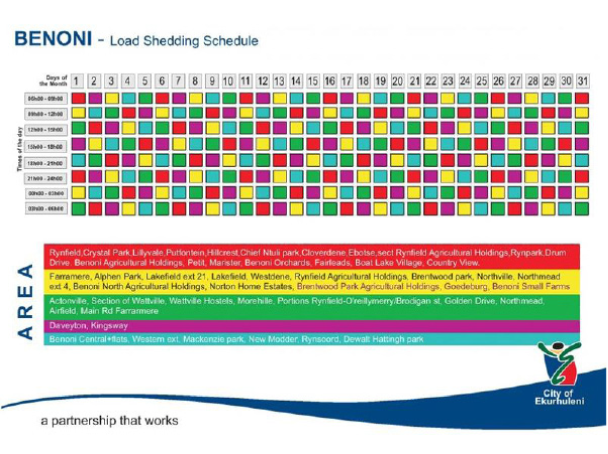 These schedules were made available in an easy to understand and user friendly format that ensures every South African is aware of how rotational load shedding will affect them. Furthermore, the work with municipalities ensured that key public institutions such as hospitals were shielded from power cuts and when this was not possible they were forewarned in order to take adequate precautions. Despite the energy challenges the GCIS National Tracker study findings show that more South Africans remain positive about government’s performance on providing a reliable supply of electricity when compared to other infrastructural related performance areas. Almost two thirds (68%) of the respondents nationally rated government fairly/very well on how government is handling the provision of a reliable supply of electricity when compared to how respondents rated the transport system (61%), maintaining roads and bridges (51%) and building houses (51%). 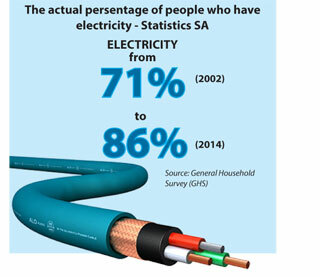 This is against a backdrop of a massive 15 per cent increase in households receiving electricity between 2002 and 2014 (Stats SA; GHS 2014). South Africans responded to the call to use energy wisely and made many sacrifices to reduce the occurrence of load shedding. South Africans have saved 450 MW through energy efficiency initiatives at a time when the country needed it the most. In tandem households and businesses were encouraged to prepare for disruptions in their electricity supply through load shedding. South Africans played their part by familiarising themselves with the load shedding schedules in their respective areas. The schedules allowed residents to plan ahead so the power disruptions had less of an impact on families and businesses. 73% respondents indicated that it was their responsibility to save electricity. 11% respondents were of the view that it is not their responsibility. Keep South Africans updated through regular stakeholder engagement sessions on energy to ensure they are part of the energy solution. Every milestone on the country’s journey toward a secured future energy security must be celebrated. 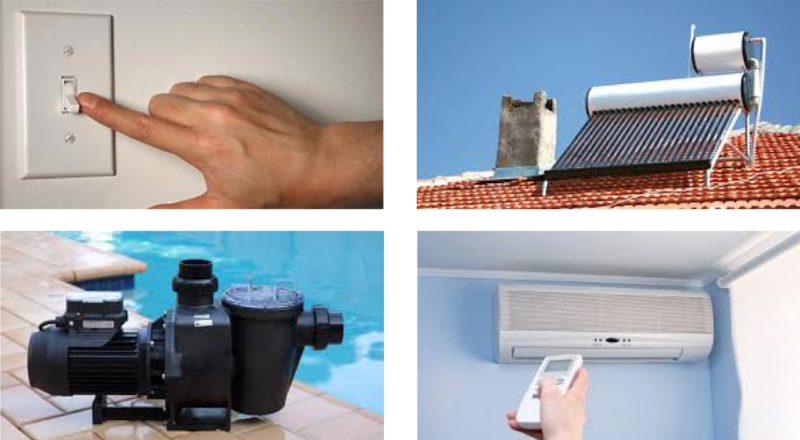 Intensify the Energy Saving Campaign message that energy saving is everybody’s responsibility. Foster greater understanding of new opportunities that arise through the country’s energy diversification plans and encourage citizen to participate in them.